An overdraft is basically a set amount of money supplied to the customer by the bank, and is, in theory, mainly to be used for emergencies. Although overdrafts are loans too, many people do not see them as such as there are no set repayments dates. But just as with loans there are penalties for exceeding an overdraft limit; and a customer’s credit rating may go towards the decision whether or not to grant an overdraft. An overdraft is an agreed amount of funds that can be used when the customer’s actual money is exceeded. In many cases overdrafts will be offered by banks and building societies when a person opens up a new account. A customer can also apply to have their overdraft limit increased, and this may be granted at the lender’s discretion. Overdrafts can be repaid simply by putting money back into the account to cover the funds. In many cases a used overdraft will simply be paid when the customer’s salary is placed in the account, and then it is ready to be used when needed. If a customer abuses an overdraft then the facility can be withdrawn and the overdraft funds can be demanded back from the lender. Lenders will have varying rules on the charges they apply to overdrafts. Some overdrafts will be interest free; these could be to attract new customers or may be for customers that have had a long relationship with their lender. Other overdrafts will have set limits for interest fees. For example the first £200 of a £500 overdraft may be interest fee, go over the first £200 and the interest fees will be applied. In some cases the interest rate can be quite high; this is due to overdrafts being of an unsecured loan nature. There can be some hefty penalties if a customer does go over their agreed overdraft limit. These penalties will range from lender to lender but they can include a fee for simply sending out a letter to inform the customer they have gone overdrawn. The fee for the letter will be joined by the exceeded overdraft fee. Some lenders will also apply fees if the funds are not replaced within a certain amount of time; in some cases this can be as little as three days. 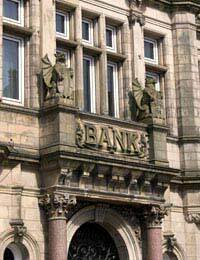 Bank overdraft charges are a bone of contention for many customers. Some customers have found themselves paying large chunks of their salary every month in overdraft penalty fees. At present the only way to avoid these charges is to simply not go over the agreed limit. Many lenders will offer buffer overdrafts, which are small agreed amounts over the actual agreed overdraft limit. If you do use the buffer amount then you will be charged a fee. Repeatedly going over agreed overdrafts and the buffer amount will not be looked on favourably by lenders. Although they will make money in charges, they can withdraw this service if they think it is being abused. The customer will then have to pay back the overdraft either in one lump sum, or in monthly instalments. Overdrafts are loans too, although people never seem to see them as such. Not only are interest and penalty fees applied but they can also affect credit ratings. In fact if a customer has a poor credit rating it can seriously affect their chances of successfully receiving an overdraft. Overdrafts can also have a detrimental affect on credit ratings if they are abused or if a customer leaves the lender without repaying the overdraft. This will then affect any future borrowing when the customer applies for overdrafts or loans. Overdrafts are useful in an emergency cash flow situation but they should not be continually used. There is the temptation to figure in overdrafts into personal budget plans but that is not what they are for. If you are the sort of person who continually exceeds their overdraft and incurs penalty fees it may be wiser to pay off the overdraft before the situation leads to debt problems. Overdrafts are loans too, and the same penalties will be applied if you abuse the facility.